Party in the city where the heat is on. All night on the beach til the break of dawn. The heat is on here in Miami! Although it is not as humid as it is in the tropics the air is hot and the sun is shining! Miami has famous beaches, neighborhoods and highlights as well as more quiet and local areas. We tried quite a few, here are the areas we really love. Things to love in Miami! Where it all happens! 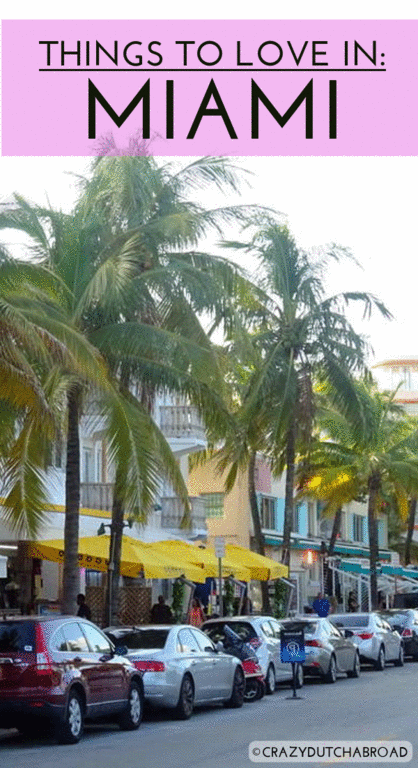 This is an area to be seen with a slim body and fashionable clothing, especially South Beach. Even the beach has an unofficial path where police, lifeguards and other officials drive but it is also used for running, a bit like Baywatch. Grab a bicycle from the CitiBike company and cycle along the boulevard or beach front, about $6 per hour. The bars and restaurants are a bit cheesy I would say. The ambiance is nice but very touristy and overpriced. From watching old men playing domino in the park to young ladies smoking big cigars - it all happens in Little Havana. 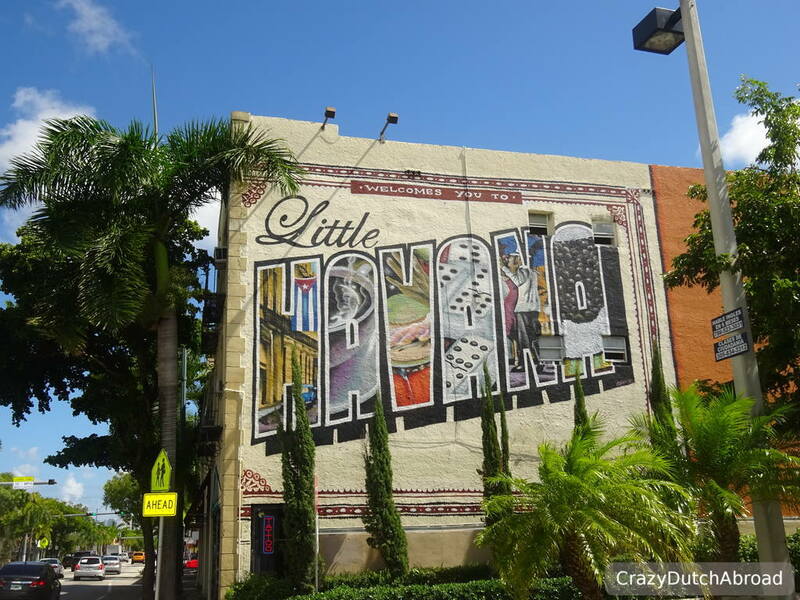 Live music and people dancing is the Cuban vibe you will found in the evenings around Little Havana. Some great food from cheap hawkers as well. This area is a bit more upscale but has some nice cheap boutique shops as well. Lulu's is a great place to watch people and have some drinks. Grand Avenue, Main Highway and Commodore Plaza are nice for a stroll. Visit the Peacock Park and check the yachts at the waterfront. Peacock Garden Cafe has a romantic garden restaurant with a great lunch selection while Taurus Beer and Whisk(e)y House is a must visit to try a few American Whiskeys. Miami Beach, especially in South Beach, is touristy and everything American sized. High prices but high quantities applies here as well. Cocktails for $45 dollars, but then you get a liter glass looking like a swimming pool. I guess I would drown in it before reaching the bottom with a straw! The funny thing is: You see them all around you when you stroll Ocean Drive. People are happily ordering those huge cocktails even though the ice cubes are melted before it reaches your table. On the other hand I am still wondering if they put real brand liquors in there and, for the price but also for health's sake: in what ratios (alcohol vs soda/juice). From the mega cocktails to ordering a glass of Sauvignon Blanc and fresh oysters, we tried to get the fancy experience out of South Beach. Again, FAILED! We got oysters (defrosted, but that is not the worst) with plastic wrapped crackers and ketchup! Fresh oysters with ketchup, seriously? Another cultural lesson I guess. 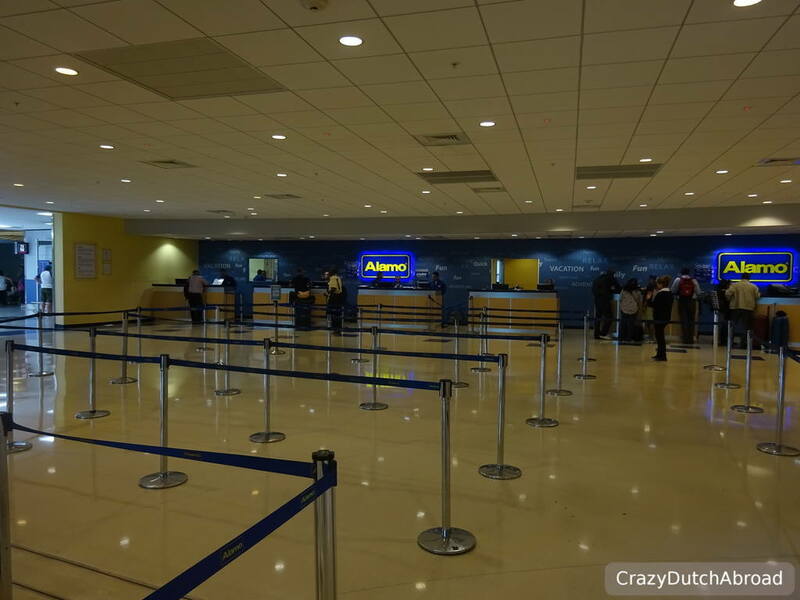 When we went to the airport to pick up our rental car we entered an area that looks like a gate for checking-in your luggage. At Alamo, where we found a great deal, there were like 10 counters and crowd control! Wow! This is a castle made by a single man without machinery and nobody knows how. It is a big mystery and several theories go round. For us, after seeing Angkor What, Borobudur and Maya temples we thought it would not be worth the money. Several companies offer 60 to 90 minute cruises in Biscayne Bay. It must be a very scenic and romantic ride, especially around sunset. We skipped it to save money and thought we would have more scenic views in the Florida Keys. This mall is all about luxury brands and fashion. It is an experience itself to walk around. It is a bit out of town and since we did not have our own transportation we skipped it. We travel with backpacks and flip flops so there is no point in shopping here anyway, but the vibe must me interesting. Strip with bars Downtown and along the beaches there are strips, Southbeach is the most famous/touristy one. Spots we loved A La Folie (Southbeach), Lulu's (Coconut Grove), Mike's Place, sort of a sky bar. Toms NFL (Sports Bar) and Siamo (Italian Restaurant) in Miami Springs. Scooter rental Did not find any but shared bicycles are at the top spots! Local transport Metro mover! Free transportation above ground. Laundry time! 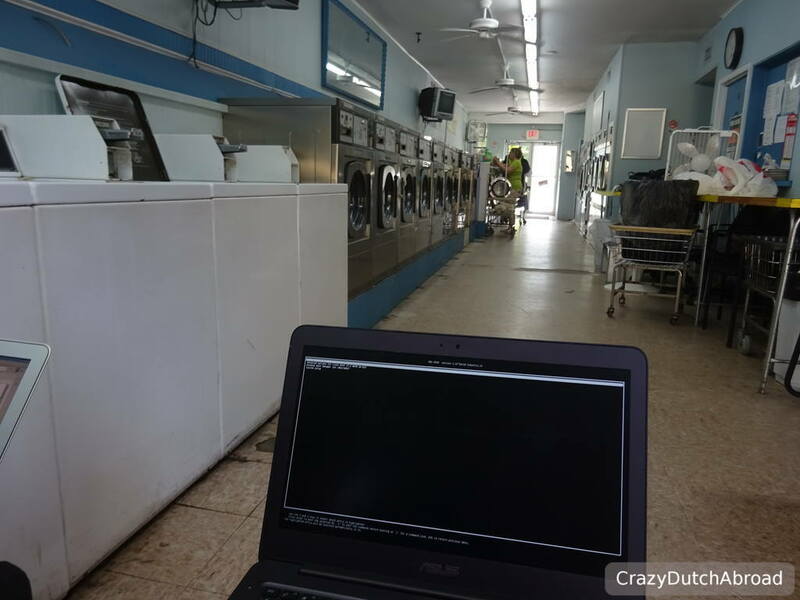 Check this huge American laundry facility, or actually Hispanic. This is one of those places where everybody speaks Spanish and no English. Time to brush-up my Spanish again! Off course, time for work as well!